That means that the most active ingredients are listed near the beginning of the list and ingredients listed near the end of the list are typically comprised of less than 1% of the total. That tidbit of knowledge makes you look at the back of your products quite differently, does it not? The product claims on the front are not as appealing as before, are they? According the The Natural Haven, with shampoos and conditioners (including leave-ins) water generally takes up 50%- 80% of the total weight of the product. This is why you hear that water is the best moisturizer! Water does hydrate our hair and skin. It takes up the most weight in your shampoos and conditioners, but after that the next four or five ingredients matter the most or are responsible for the main purposeful properties of the product. 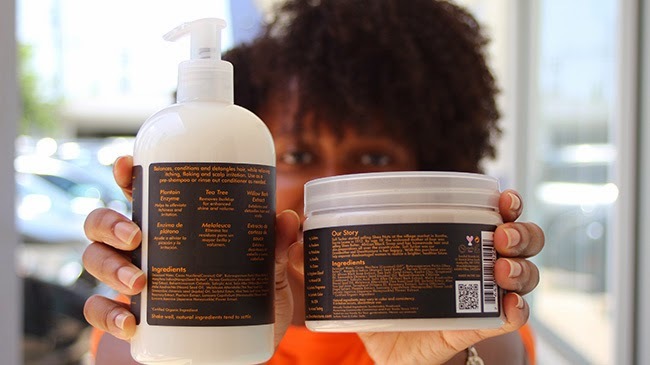 Beauty Brains says that the four or five ingredients following the first ingredient in shampoos are the cleansers and for conditioners they are the softeners and moisturizers. That magic ingredient that made you pick up that bottle in the first place needs to be in the top of the list, so if it is not then you may want to put it back on the shelf.